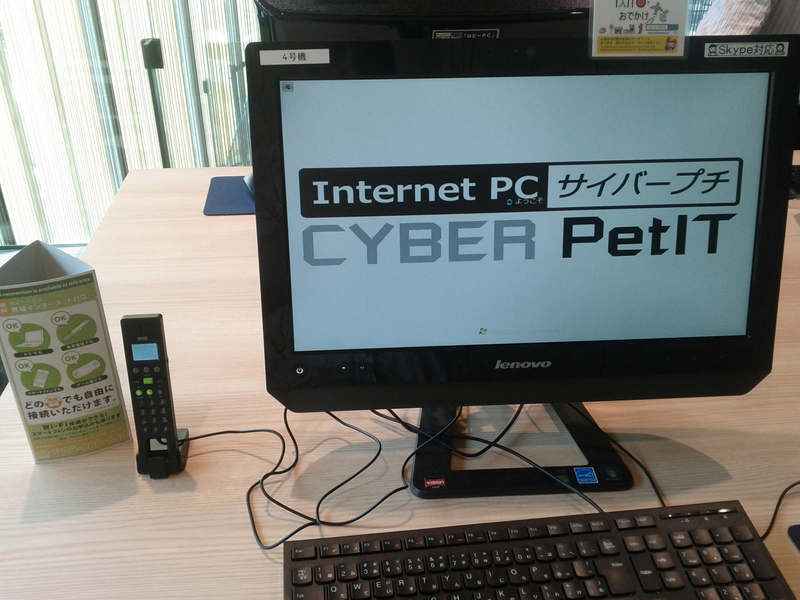 A number of companies are now offering free wifi in Japan - a welcome change from primarly paid services. Power outlets, on the other hand, remain extremely rare. When you do find them in public locations, they are usually taped over. While McDonald's is a notable exception, they don't offer free wifi (yet - I wouldn't be surprised to see it offered in the near future). So I was impressed (enough to make this post) during a visit to Asakusa this weekend to see the newly opened visitor center offers not only free wifi but also power outlets. 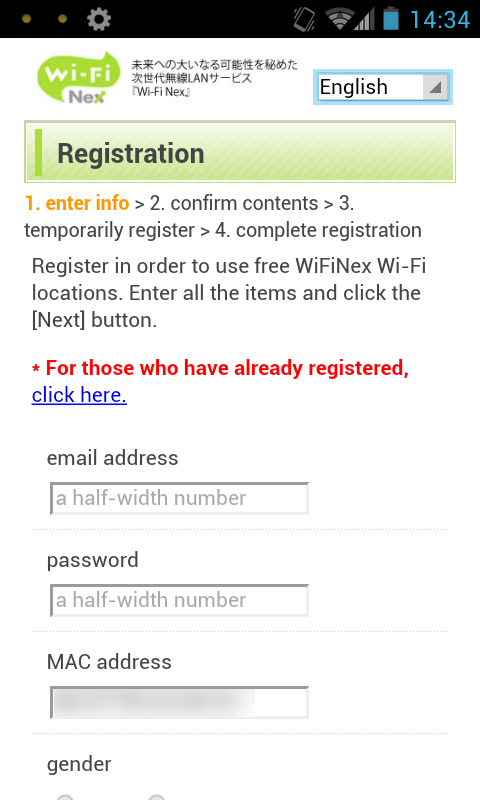 The wifi is provided by Wi-FI Nex, which was not one of the companies that the MIC recently warned over shady practices. Nonetheless, you should always use as much encryption and security as possible, and if pass though is allowed by the access point, a VPN is highly recommended. All mobile devices are supported. Access does not require PPPoE, so there should be not problem connecting any mobile device. Skype and streaming are technically allowed but might be difficult if you are competing with a number of other devices for bandwidth. Unfortunately, you just can't hop on, open a browser, and click "accept." 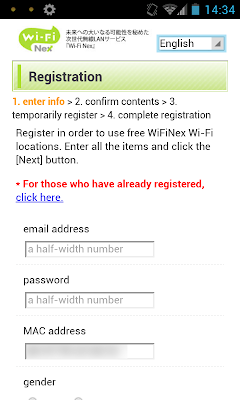 In addition to registering your MAC address, you will also be asked to provide an email address. I didn't play with it long enough to see if domains like mailinator are allowed. Just about any "free" service in Japan requires giving up personal information (as payment, so to speak), so before any trip to Japan, it would probably be best to get a throw away email address. Companies like Rakuten send an unimaginable amount of spam legitimate emails to their customers, and unsubscribing [mobile warning: large image] makes an NTT Docomo phone contract look simple and elegant. 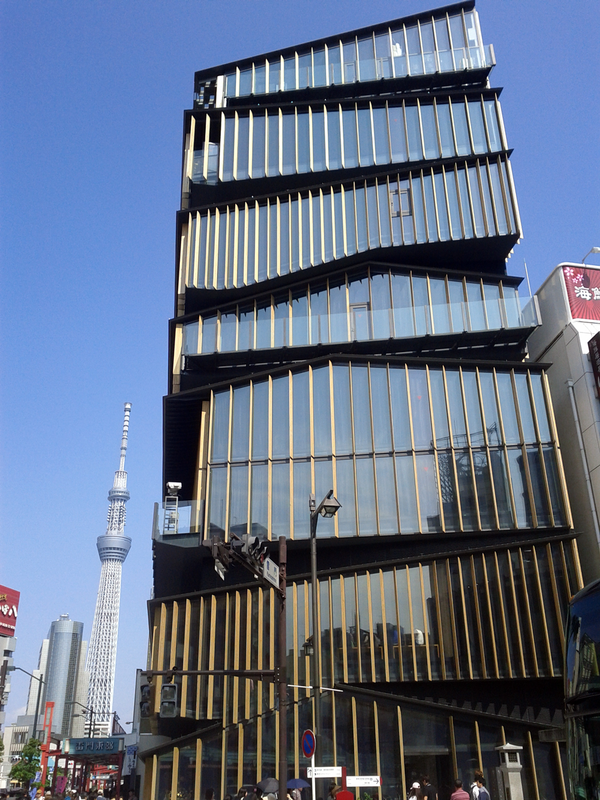 The building is located on the southeast side of the Kaminari-mon Intersection, and is, um... let's just call it unique. You can't miss it. And while I'm at it, here are a few quick snaps with a Nexus S taken from the 8th floor cafe. (No, I'm not really interested in using instagram, and yes, I realize I'm not all that good of a photographer.) In case you are wondering why Taito Ward would spend the money on this, you'll get an idea from the picture of Nakamise Dori. 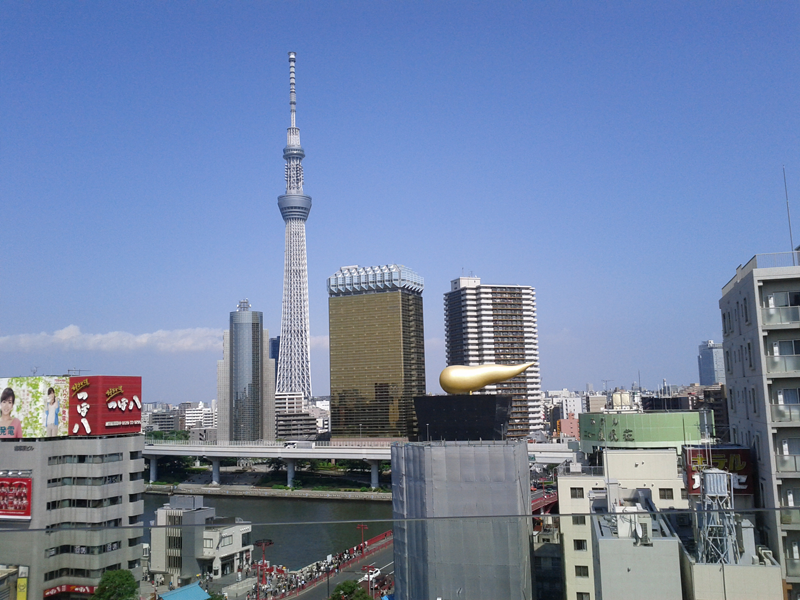 It's virtually empty because everyone is (for now) lining up at Sky Tree across the river. 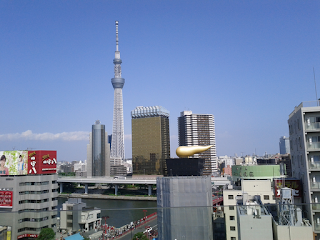 You can imagine that the businesses in Asakusa are more than just a little worried that the novelty of the world's tallest broadcast tower (that doesn't even have the tallest observation deck) won't wear off. 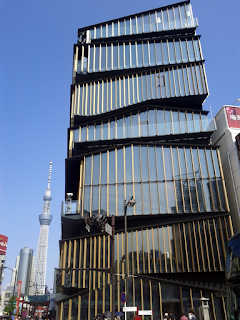 The Golden Poop of Asashi Brewery Headquaters in Sumida Ward. 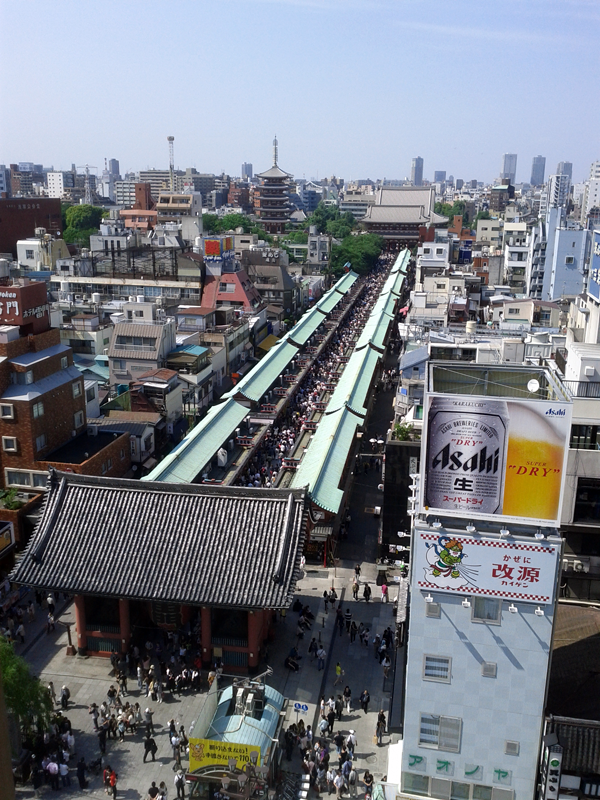 It looks like you could walk nearly unobstructed down Nakamise Dori. 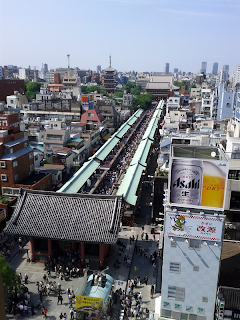 Can anyone recommend good locations or sources of free wi-fi in Tokyo? I haven't come across any. 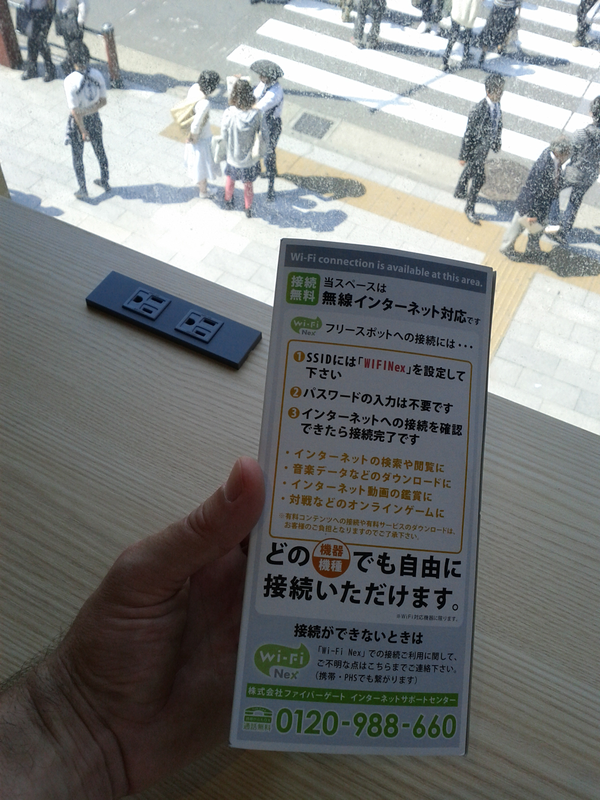 I keep hearing that you might be able to access free wi-fi if you are on a phone network (docomo, etc.. ) or through your home broadband company (ntt, ocn, etc...) but I haven't worked out if it's true. I'm on bmobile and ocn, if that make a difference. Note to all, "plugging in" to any old power outlet in a shop / cafe is considered theft unless designated as such. short time and term available, check their page!